If you are a pet owner (and if you're not a pet owner it's kind of odd that you've landed here on our blog - welcome nevertheless) you have probably heard about the latest round of recalls affecting dog food manufactured by the Diamond group - as of this writing the original recall of Chicken Soup for the Soul has expanded to include Taste of the Wild, Wellness, Natural Balance, Kirkland, Nature's Domain and many more (the full list is here). Worth mentioning here is that I feed raw food - primarily Oma's Pride raw food. Big hunks of chicken, beef, turkey, duck, tripe, buffalo, rabbit, assorted whole fish...When we go in for our annual vet appointments (or semi-annual actually) they always sigh when they ask me what they're eating because it's a huge list and it's all real food. Its funny, the vet techs usually end up writing down about half of what I say and then writing "see Teller's sheet" for the other two. I'd imagine that most of their clients probably have a one word answer for them - something along the lines of "Eukanuba", "Wellness", "Iams". I understand why people think those are good dog foods, the marketing and pretty packaging is really appealing. From a dog sport perspective Eukanuba sponsors some really big AKC events - they must be the 'good guys' right? As a child, I remember standing in the petfood aisle BEGGING my mother to buy my childhood dog 'GRAVY TRAIN' because you could add water and make gravy (she said no) - our dogs didn't eat commercial dog food even back then. I wanted a science experiment (making gravy from kibble) - she didn't buy the hype. I know kibble is super convenient to feed and we all have to make decisions and choices for ourselves and for our dogs based on many variables - time and money on the forefront of course. Feeding kibble is a choice, feeding low end brands is another choice. It's my choice to know more and to feed better. For those kibble feeders, are their dogs healthy eating Eukanuba? Maybe. Are my dogs healthier eating raw? Maybe. Do they feel 'good' about what they're feeding their dogs? Maybe - I'm sure some parents feel pretty good feeding their children a diet of hot dogs, mac & cheese, chicken nuggets and fruit flavored gummies. Do I feel good about what I'm feeding my dogs? ABSOLUTELY. I know where it came from, I know what went into it - and I know without a shadow of a doubt that everything in that grind came from a plant that has to maintain standards to remain compliant with FDA and USDA standards. Oma's Pride remember is a subsidiary of Miller Foods and they are primarily a restaurant supplier. That turkey in my ground raw food is the same turkey that is ground for that turkey burger that you had at your favorite restaurant. Those duck necks I just fed my boys for breakfast? The rest of that duck went to that chinese restaurant around the corner. It's a closed loop. Kibble is cooked so it's safe right? 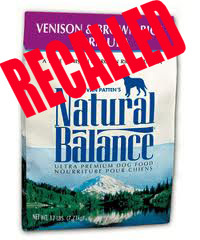 This round of recalls is related to salmonella contamination - which really shouldn't be harmful to dogs (more on that in a second) - but has a very real possibility of making the people who come in contact with the contaminated kibble sick - VERY sick. And as most things go - if you already have a compromised immune system (you're very young, you're old, you're already weakened or sick) salmonella is deadly. No one expects to die because they bought a sack of Wellness dog food. Dogs have very short digestive tracts - they were designed to eat a whole class of food that humans either cannot or will not eat. Dogs are hunters and scavengers. Lacking thumbs their natural diet would be raw dead things. Some of which would be fresh kills, some of which would be ummmm....not so fresh. So by evolutionary design germies like salmonella passes right through their digestive tracts. The real problem is that when people buy and feed kibble to their dogs there's this feeling of 'its safe". I've seen so many students handle kibble with their hands to use as training treats - truthfully I've handled kibble in the same manner (though I can't stand the smell and usually go running for the nearest warm soapy water I can find). Kibble is processed at extremely high temperatures (425 degrees or more) - essentially destroying any bacteria in the meat and also most of the nutrition in the meat as well, which is why manufacturers have to add back in 'nutrient packs'. We (the cosmic WE) reach into bags to scoop out daily rations. We aren't careful about safe storage. We don't immediately wash our hands in warm soapy water after coming in contact with kibble, we touch our faces, we touch other things. We don't wash those dog bowls frequently - because the bowls LOOK clean. We - again cosmically and as a society - handle kibble as though it is a completely safe product. That's so different than how I (and the cosmic we) handle raw dog food. We're trained to expect some contamination - some germs. It's raw meat. We're very careful to keep food frozen until we're ready to use it. We thaw food in the fridge or in a cold water bath. We either have plastic containers that are used only for raw dog food or we use non-porous containers glass, metal, ceramic (I have a set of corning-ware that perfectly holds 5# of raw food). We feed our dogs out of metal bowls that are washed after every single meal, the counter is wiped down after every meal is prepared. We feed 'messy' foods outside - fish, tripe, chicken backs. Go eat them outside and we'll hose off the deck after they're done eating. If I had babies crawling around on the deck I'd probably find an even safer place in the yard to feed outside. I handle my dog food like I'd handle a raw chicken breast that I was making for my own dinner - because it's logical to do so. After the last scare (pick one - Melamine, Aflaxtoxin fungus, salmonella, etc) consumers were promised better quality control. "We won't let this happen again, we will test product that comes into our warehouses and manufacturing centers". "We will store these ingredients safely", "We care about your pets", or my favorite "We will test every batch of dog food before it leaves the manufacturer". A good portion of these promises were made by Diamond Pet Food actually. Give us another try, we'll do better. We'll get it right! We PROMISE!!! Now, a few years later we have concrete proof that no such testing is occurring - not in the incoming ingredients, not in the processing protocol and (at the very least) Diamond is not testing every batch of food that comes off their line. If they can't catch salmonella - which isn't particularly harmful to dogs but IS harmful to people - they aren't going to catch a batch contaminated with melamine, fungus, bacteria or any other toxin. Sure they'll test for these things after they have reports of sick dogs and sick humans. But is that enough for you? 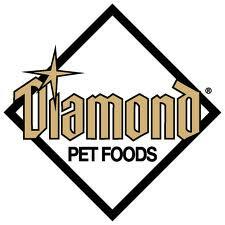 Do you feel good about letting your dog be the testing unit of Diamond foods? Probably not. Consumers need to step up and use this experience to demand better for your dogs - and for your family. Look at the options available to you - there are some kibbles that are still made in single batches in dedicated (single batch) facilities where quality control is taken seriously. It's been so long since I fed a kibble I'm not up on where all of the individual smaller brands are produced any more (Wellness USED to have their own facility - obviously Diamond makes their food now). Even buying product produced by a small 'family-owned' brand isn't good enough anymore - it's super easy for those brands to manufacture their foods 'off-site' - meaning they hire a larger company to make their foods for them - and then you've got cascading recalls. 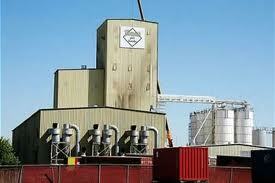 Now you KNOW where Kirkland dog food is made and it's made on the same line as Taste of the Wild, etc etc. 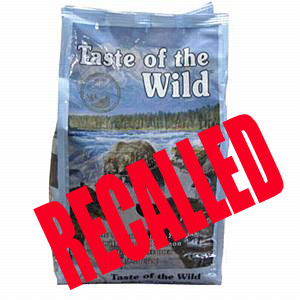 How many owners would have purchased that big bag of (expensive) Taste of the Wild if you knew at the time that it was made by Diamond on the same line as the rest of the products on the recall list? I know that The Honest Kitchen tests every single batch BEFORE it leaves the facility - it can be (and is being) done in commercially viable operation. That should be an eye-opening lesson here. Diamond (and the brands that use Diamond for their manufacturing) don't care enough about your pets (and about you) to hold food back from distributors a mere 24-48 hours after production to wait for test results and product analysis from an independent lab. Doesn't that give you a great big case of the warm fuzzies?